Doors are open from 10am to 4pm, with shoppers lining up early to score the best deals. The parking lot will be over-flowing with indoor and outdoor furniture, area carpets, art work, fabrics, wall-coverings, decorative lighting, wood flooring tiles and fine fixtures. "People deserve access to good design and this is one way we can make that connection," says Katherine Willems, IDIBC Event Committee Organizer. 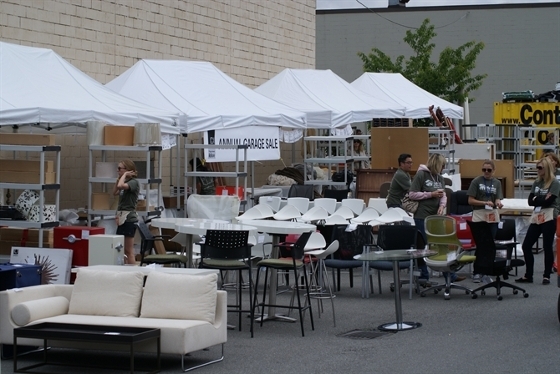 The ReStore will also be open for purchases of regularly stocked building materials, supplies and home décor at greatly reduced retail prices. A one-stop-shop for your building and interior design needs - at a fraction of the cost.